The client came to me with three inherited rings. They wanted to use some or all of the stones in the design of the engagement ring. When we met I had a look at the rings and did a few sketches. They decided on one, and from this point the rest of the ring was kept a secret. The surprise was the beautiful half carat brilliant cut diamond that I sourced which became the focus of the ring. 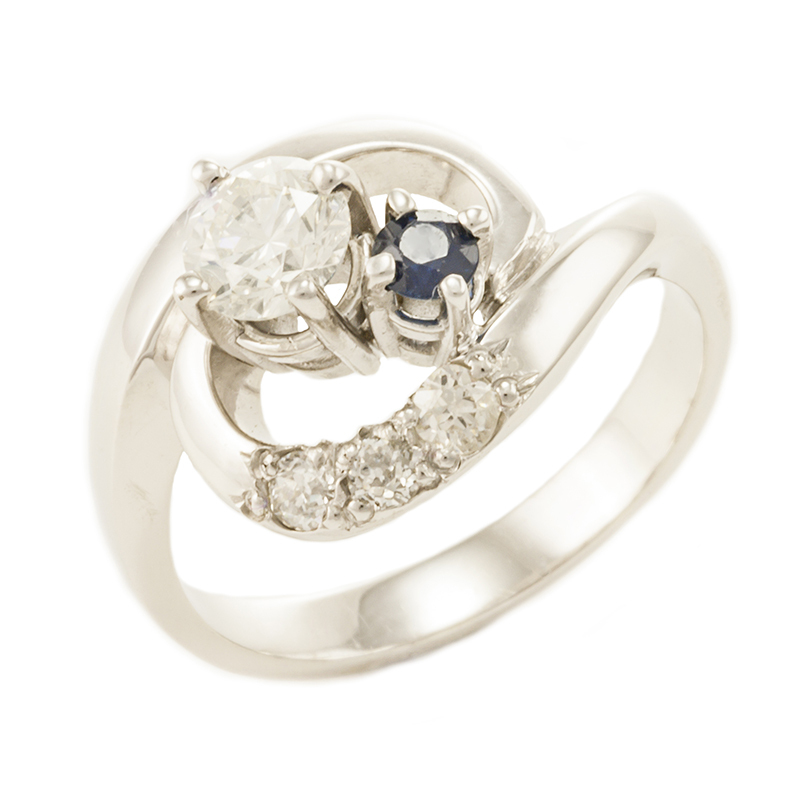 The sapphire and smaller diamonds came from the inherited rings, and there is plenty left over to use in the weddings which I will be making for them.